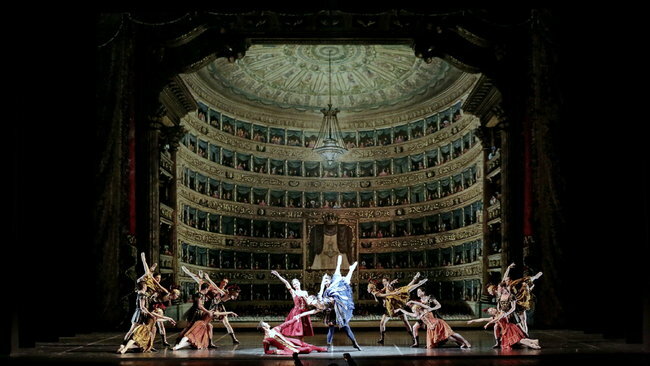 La Scala ballet group has arrived to Astana on June 25, Tengrinews.kz reports. The dancers had their first rehearsal the next day. The technical team and decorators are installing decorations. Meanwhile, the Astana Opera orchestra is rehearsing last bits for the premier. The premier of Don Quixote is taking place from June 30 to July 4. A free live streaming of the ballet will be available at Tengrinews TV today, June 30. The performance of the Italian artists on the stage of the young theatre Astana Opera is truly an important event for the cultural life of Kazakhstan. Astana Opera plans to sign a memorandum of cooperation with the Real Teatro di San Carlo and Teatro alla Scala. Top managers of La Scala arrived to Astana with the ballet group. Tengrinews is sorry to inform you that the promised life streaming of Don Quixote with La Scala at Tenginews TV is not going to take place today or any other day this week. According to the theater's last moment notification, this is for copyright reason. The only way you can see the ballet is by purchasing the tickets.